Sydney Shop Girl: Mock Mullet Skirts. Friday Happiness. I don't know if you'd technically call this keeping up with fashion, but today was the day I finally acknowledged a recent high street trend and made it my own. It's been that kind of clothing year where it would be nice to say that I'd managed to reference one trend rather than none at all. I know I'm kinda getting old for the whole slave to fashion thing but sometimes it's nice to throw maturity to the wind and think outside the mid thirties box. The trend in question? Mullet skirts. 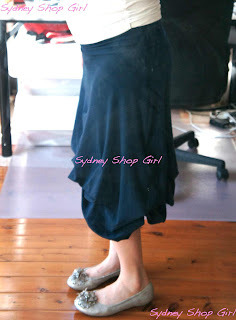 A skirt length that polarises the skirt wearing general public and I think is still floating around at some stores. To be honest, it reminds me of early 80s Bali shopping but without the full head of mini braids. But who am I to judge given that I now also own a pair of jelly sandals? T - Isabella Oliver Maternity, skirt - Metalicus, shoes - an extra comfy nonna brand from Peter Shepherd. bump 30w2d. Viz, today's improvised mullet skirt / Camilla undie tuck look with a one size (still) fits all skirt from Metalicus. It ended up being an abbreviated mullet skirt. Which is probably why it didn't look to bad! The best thing about my outfit today, however. 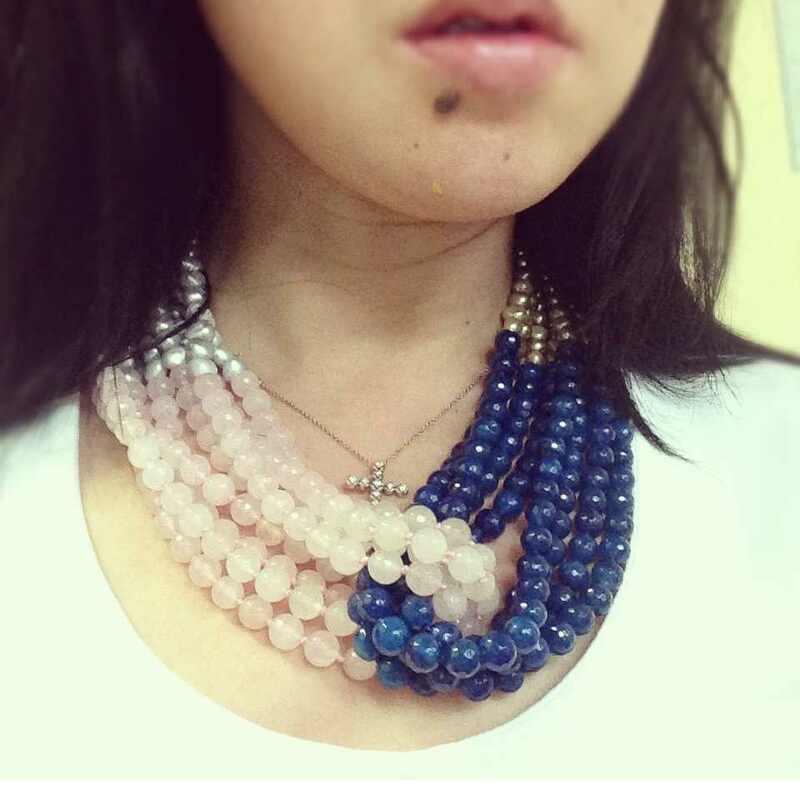 was that it perfectly matched my Red Phoenix Emporium Petite Four necklace. 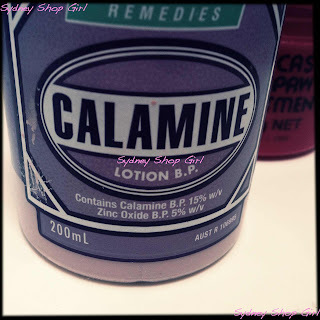 In other equally liberating news, I said goodbye to my bottle of calamine lotion this morning. Anyone who has known the unique frustrations of a total body rash will know where I'm coming from with this. The hours spent in the bathroom artfully painting yourself a fetching shade of lavender (why are the itchiest bits the ones you can never reach?!?! ), the splattering of calamine lotion across bench tops and towels and last but not least, the tell tale powdery patches of skin that show up where your clothing ends. You have no idea how good it feels to have an extra hour of my day back now that I'm not having to do a twice daily baste in calamine lotion. No. Idea. I'm going to sign off today with some photos that made me smile and fortunately for you, not all about me. The first is of my little nephew who turned one this week. This is him having a wonderful morning coming to grips with The Very Hungry Caterpillar soft toy set Mr SSG and I sent him. 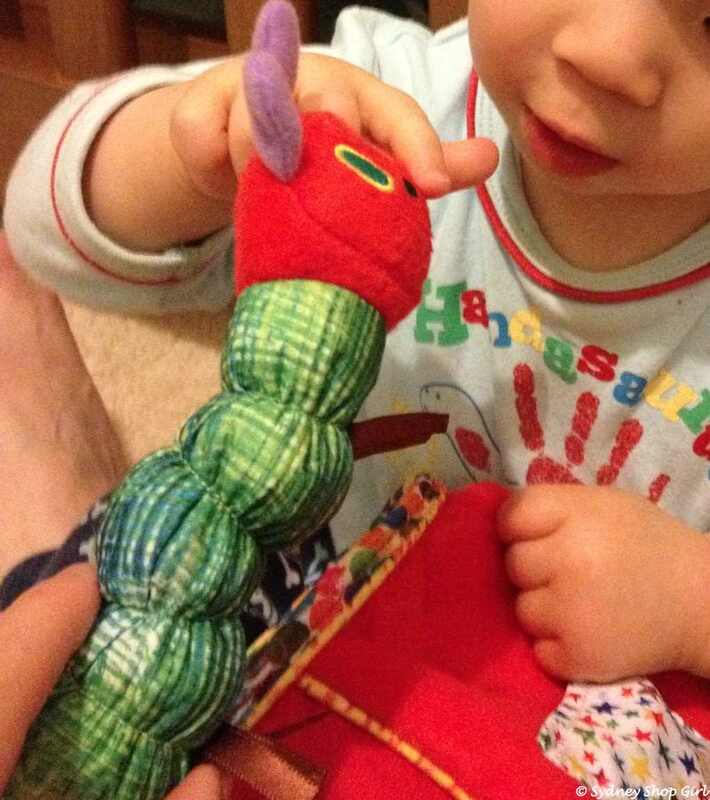 He'll be coming to visit this Christmas which gives me the perfect excuse to go toy shopping before he gets here. The second needs no explanation. 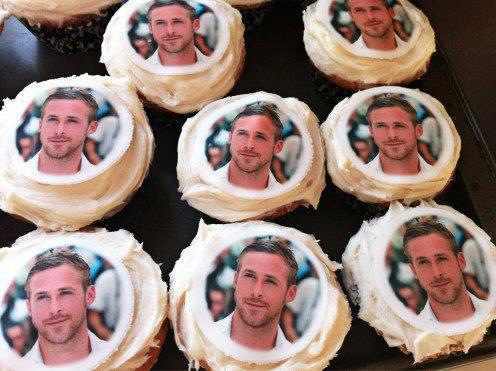 It's a photo that's been doing the rounds on Facebook and I think incorporates all you need on a Friday - Mr Gosling and cupcakes. Have a lovely evening and here's to the weekend, people!!! We made it.